ZoNi wrote: not bad review... but, XnView have Favorites menu! and IrfanView and FastStone are also free ONLY for non-commercial use! Never install software again! We look at 20 top portable apps, from office suites to IP scanners. Download an extended PDF version of this article, featuring additional product reviews, a Q&A with developer John T. Haller and more, here. Figure 3. Rich batch conversion tools let you transform entire collections in a single step — a huge time saver. 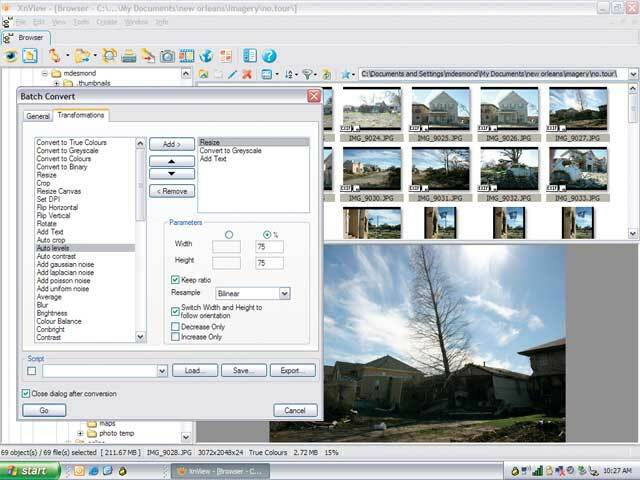 Whether you manage gigabytes of digital photos or need to retouch screen shots and graphics, the free XnView application can do the job better. Much better. Fast and intuitive, XnView displays virtually any graphic (and even many video) file formats in a familiar Explorer-like split screen interface. Powerful, rules-based batch conversions let you rename, resize, compress, adjust and even transform images to new formats. Create slide shows, output contact sheets and produce attractive Web pages of your photos. 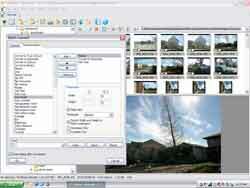 A ridiculously complete, yet intuitive, image-management program. Not a review or award but a big overview of image viewers can be found on Wikipedia. Currently, the entry for XnView is pretty empty, I've added the format info a bit but nothing more. From what I can see the award "Soft32.com Editor's pick" is missing on the XnView Award page. I wonder why they have the award in JPG format. Please note that I've copied the award image on my server, hot-linking was not possible. XnView is still Gizmo's top pick 2010! A top rating, five stars! Congratulations! However, they have confused XnView 1.97.1 with XnViewMP in their description.